Dashing and elegant trench coat made in Italy by Marco Morosini. 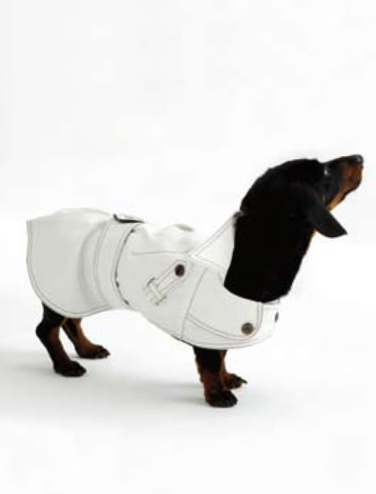 Most suitable for a Dachshund dog or any long body style. 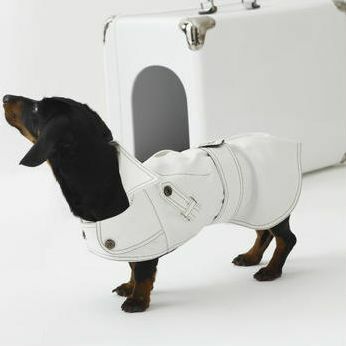 The stylish white coat is beautifully detailed with contrasting stitching. 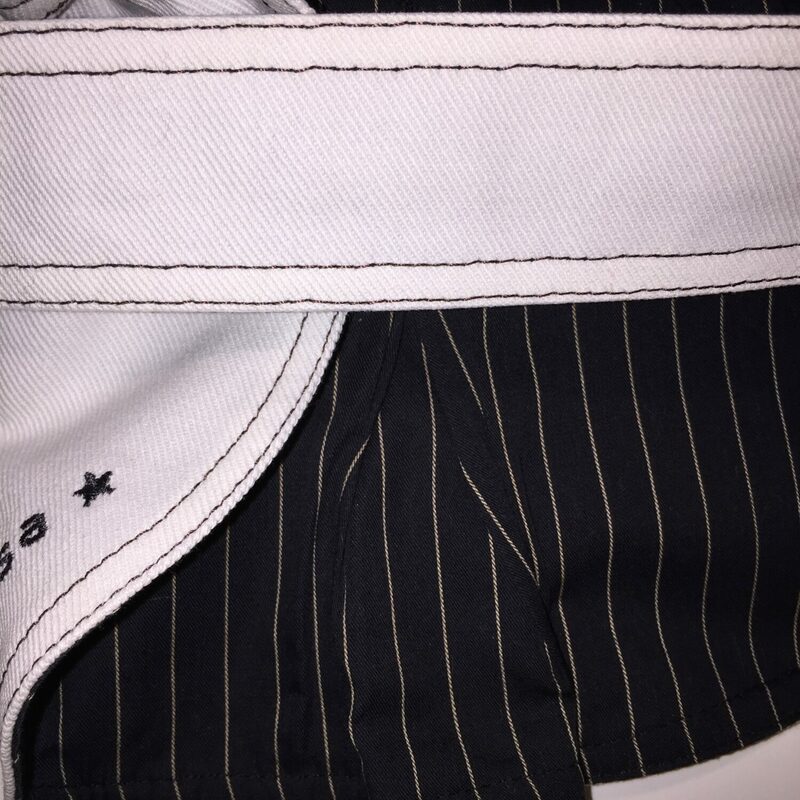 Lined with pinstripe fabric to keep your dog warm. 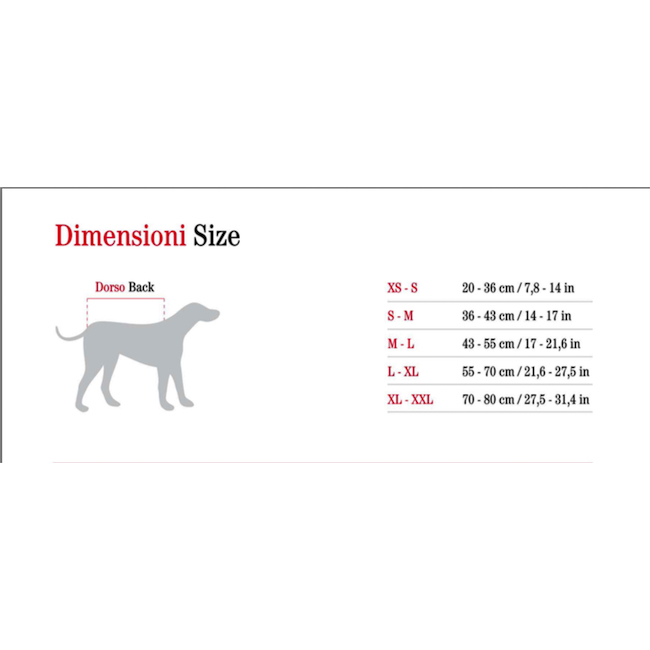 Size S-M 36cm-43cm by length.